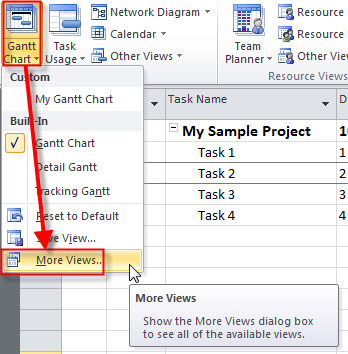 ← Customizing Views in MS PROJECT 2010 – Part 1. 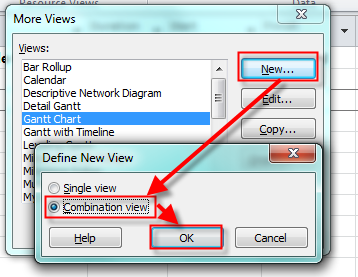 Customizing Views in MS PROJECT 2010 – Part 2. 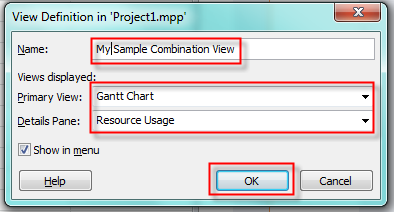 But what if I want that My Sample Combination View has customized portion. 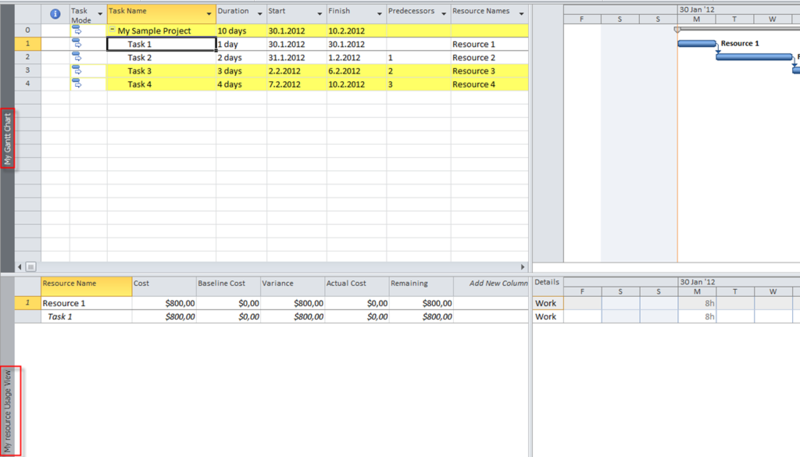 Notice that in my upper portion of the Screen I have My Gantt Chart with filter applied, and in the lower part of the Screen I have My Resource Usage View with Cost Table applied. Here I choose to delete those Views from my current Project. Notice that when you erase something from Global template, it is gone forever. 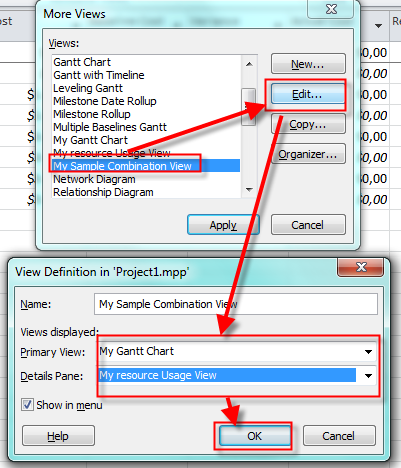 This entry was posted in MICROSOFT PROJECT, Microsoft PRoject 2010, MS PROJECT 2010, PMI, PRoject Management and tagged Microsoft Project 2010, Microsoft Project 2010 - Views, MS PROJECT, MS PROJECT 2010, PMI, Project Management. Bookmark the permalink. 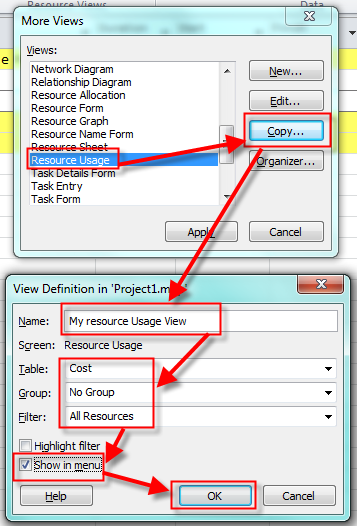 3 Responses to Customizing Views in MS PROJECT 2010 – Part 2. 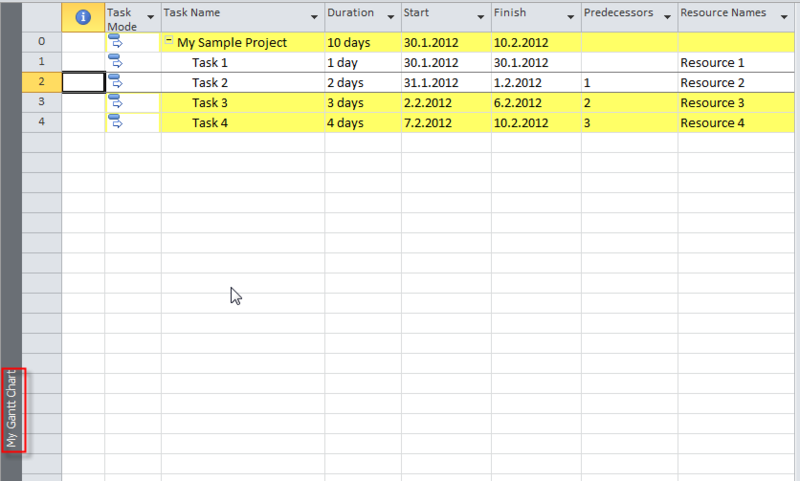 Why on GANTT CHART view it shows calendar that I’ve defined (saturday is a working days) but when I choose TRACKING GANTT it always shows the standard calendar (saturday is not working day)? It works fine here. I need some more information, e.g. 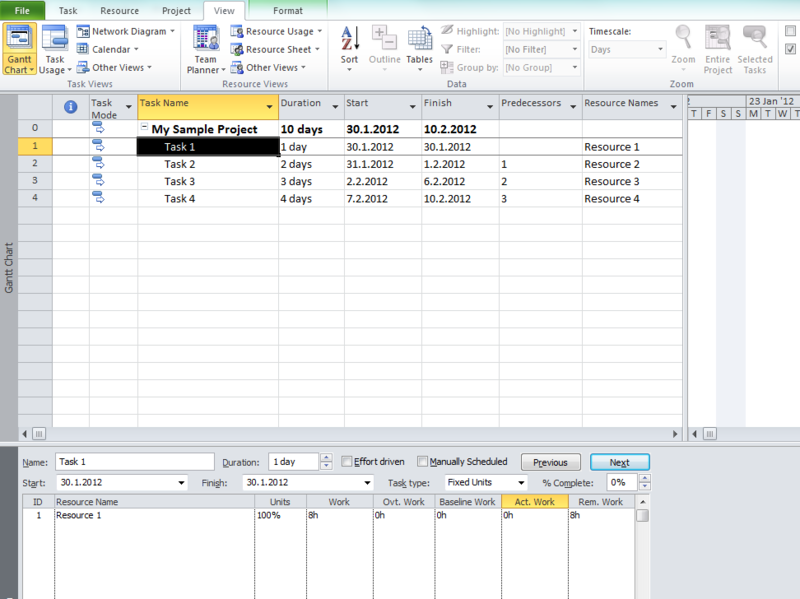 what kind of calendar did you apply (Task, Project or Resource)? 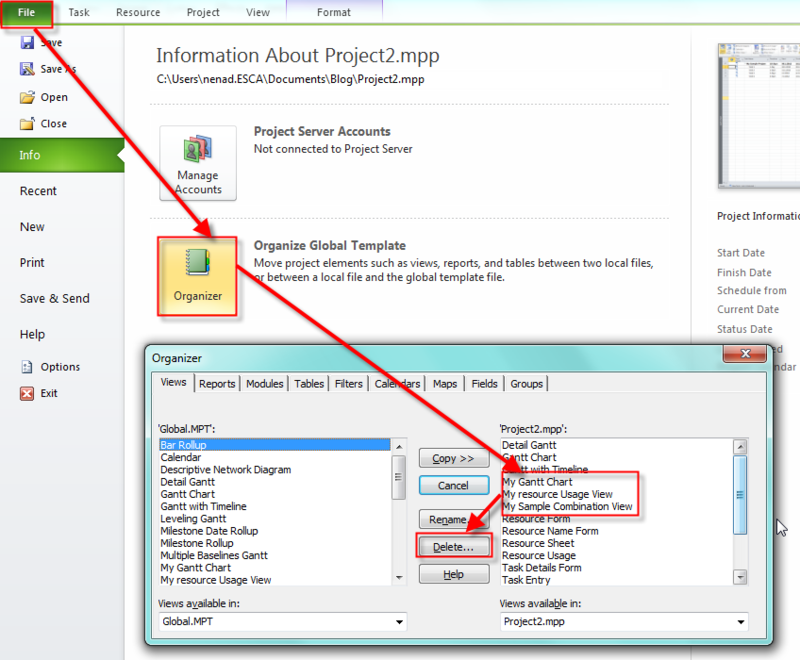 Can you send me mpp file to my mail?